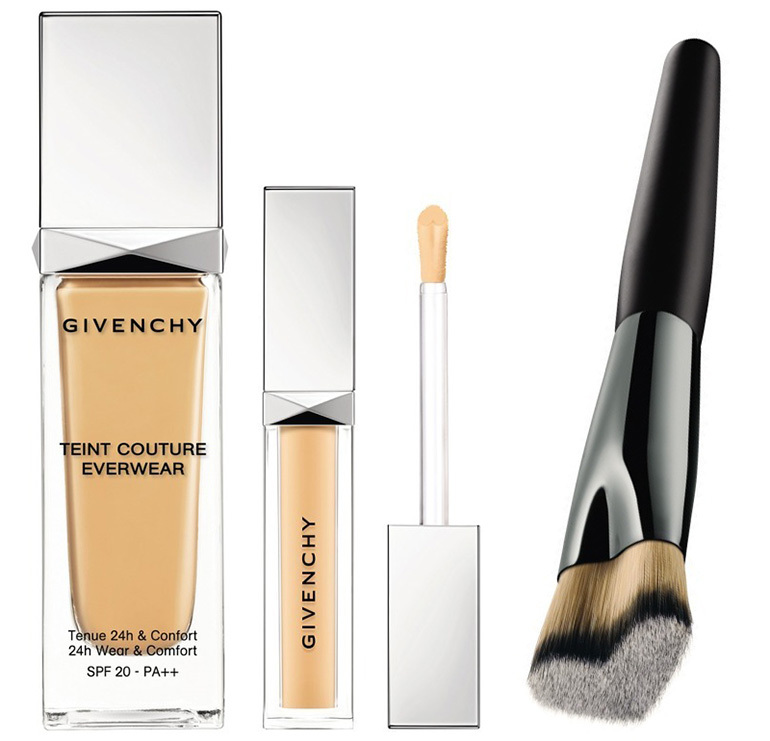 Givenchy will release a new liquid foundation and concealer in the new range Teint Couture Everwear. Keep on reading to find out more about the entire range and check out the first promo images. 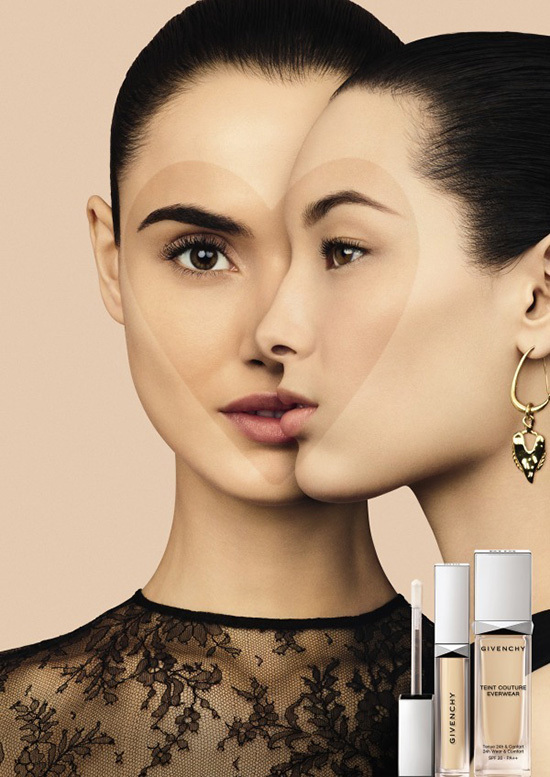 First let’s discuss Givenchy Teint Couture Everwear liquid foundation which has a long lasting effect and promises to keep a beautiful skin for up to 24 hours. It has a waterproof formula which is also resistant to sebum, sweating and rubbing. 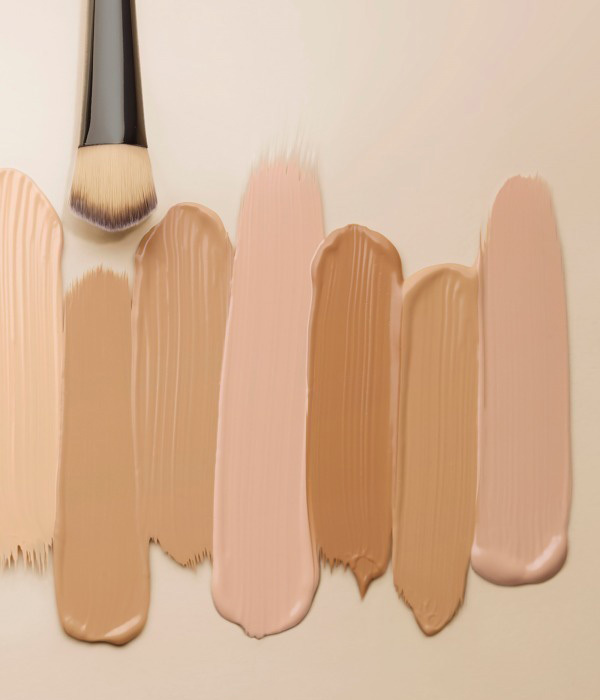 Basically it seems to have all the ingredients for a long-lasting, all day foundation. The texture is rich but feels smooth so it can be layered to achieve a full coverage. 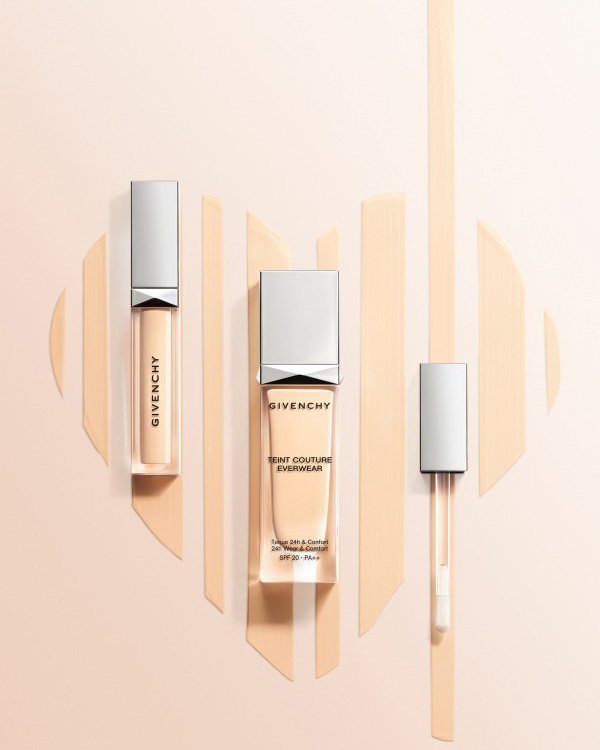 If you are looking for a semi-mat finish then Givenchy Teint Couture Everwear may be your new favorite. Now moving on to the color range. Inclusive shade range? Well from what I know so far there will be only 8 shades selected according to the skin of Japanese female. Each color has the initial letter P or Y coming from pink tone or yellow tone. Honestly I hope this 8 color range will be dedicated only to Asian countries while Givenchy will offer a lot more to their worldwide consumers. On the same day when Givenchy launches its Teint Couture Everwear line, we will also see their new Heart-shape brush. I believe it’s called Teint Couture Everwear foundation brush. 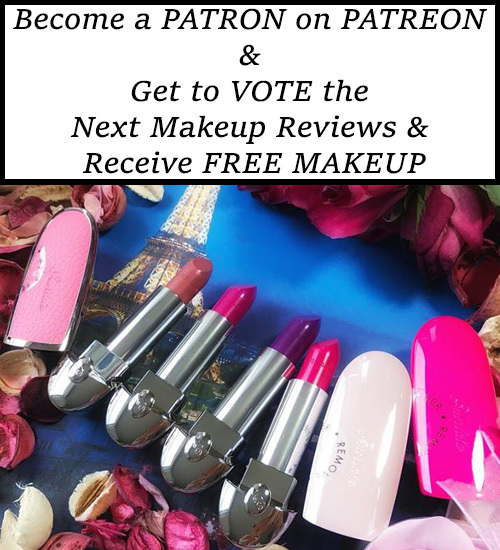 This one was designed especially for the Teint Couture Everwear liquid foundation to allow a perfect application. 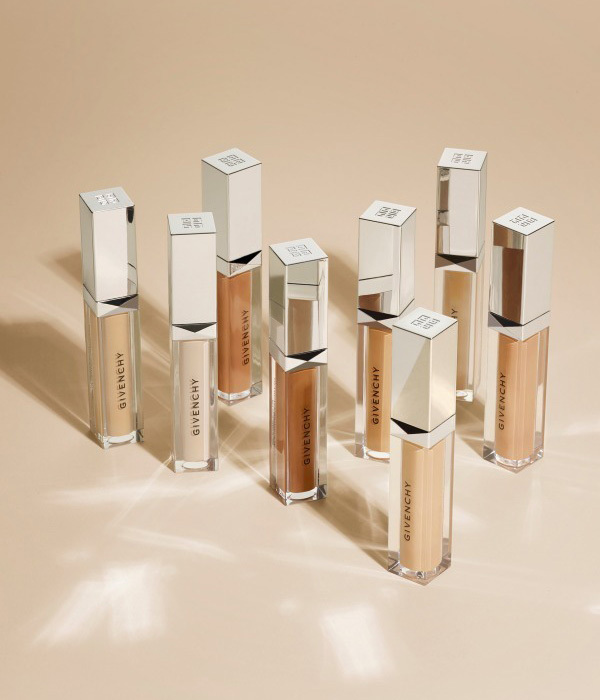 To complete the line Givenchy also offers six shades of Teint Couture Everwear concealer. This one has the same semi-matte finish as the foundation, with the same waterproof formula. It instantly conceal any skin dullness, shadows and dark circles or small skin imperfections. 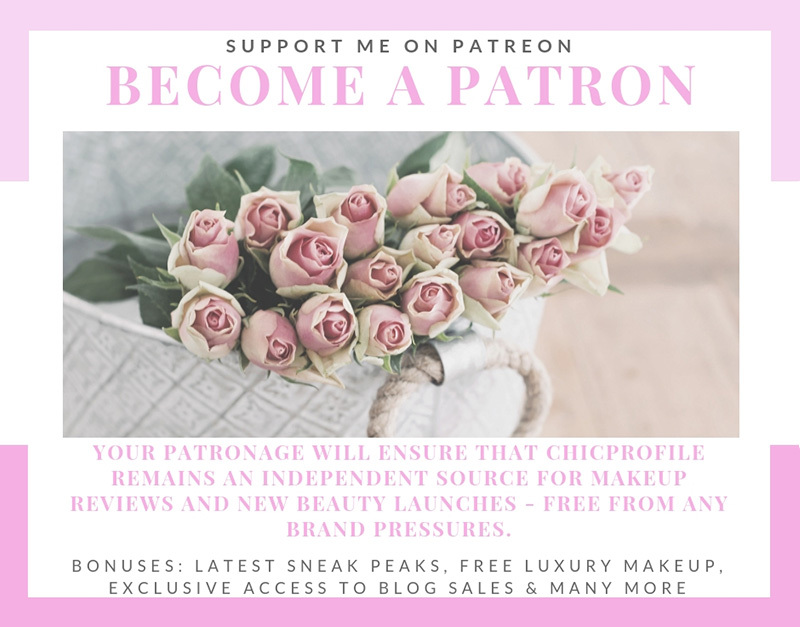 I will keep updating this post if I find out more about this range. 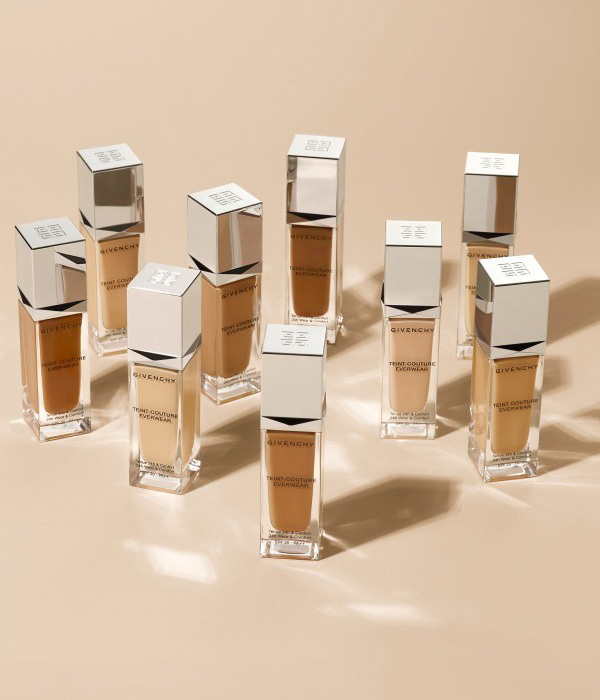 I’m really curious to see if there will be indeed only 8 foundation shades. What do you lovelies think?